You probably already know our backstory by now: We started printing single tshirts in the spare bedroom of our Montreal apartment back in 2008. Since then we've grown the company year-by-year to where we moved all our production and warehousing to California to support the 100 stores internationally carrying our products. This year we made a very important decision to move ourselves to California so that we could oversee production. Hopefully by being in California we'll be able to add an extra touch and expand our future collections further while being more accessible and promoting the brand a lot more across the country. What this means for you? Ordering from our web store will remain exactly the same, nothing is changing in this regard. We just hope we can grow the brand more, experiment with new styles and printing methods, and have a tighter quality control over what we're putting out. Thanks for all your support and getting us to this point, it's a complete dream that we're here now in California and we look forward to taking you along for the ride. 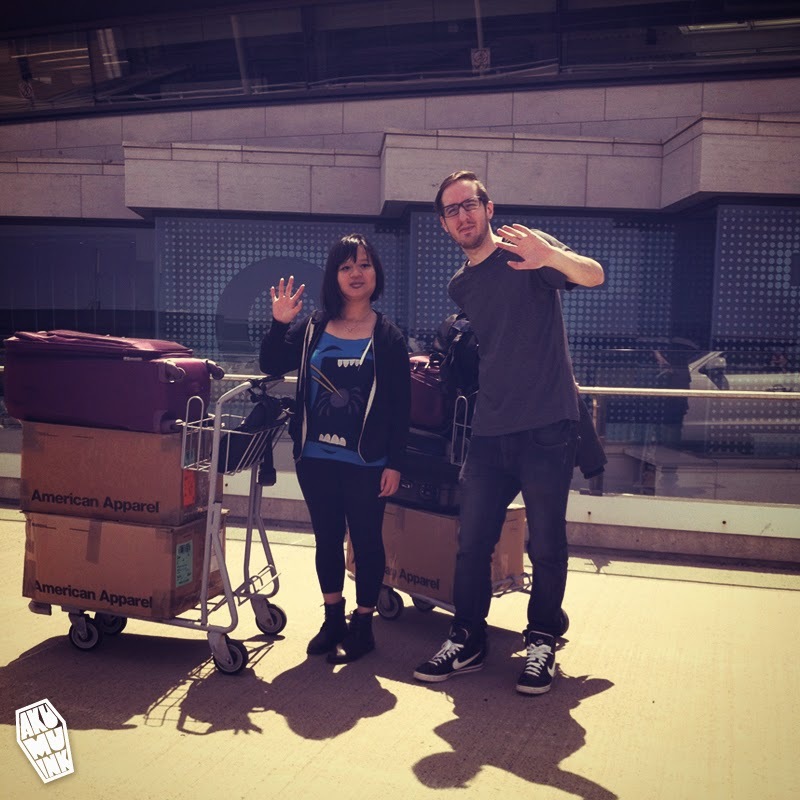 This is a photo of us with the only luggages we're taking with us to start our new life in California.